In progress…We have two projects in the works this spring that reveal themselves well in new renderings. Our Backyard Oasis is a suburban retreat, featuring a sports barn, tennis courts, and pool. 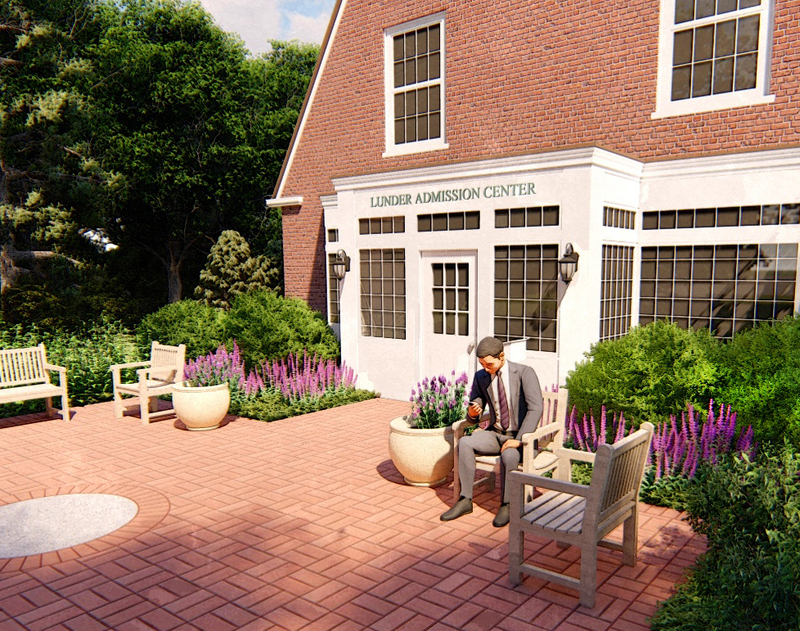 In addition, design work is well underway at Babson College, where Pate LA has been engaged for five projects, the most high profile of which is the Admissions Center.